When you bring your organization for a team building activity- it should never feel like work! Laser Tag is a fun team activity that enhances communication in a competitive group environment. A laser tag birthday party at Splitz is the out of this world fun for all ages! 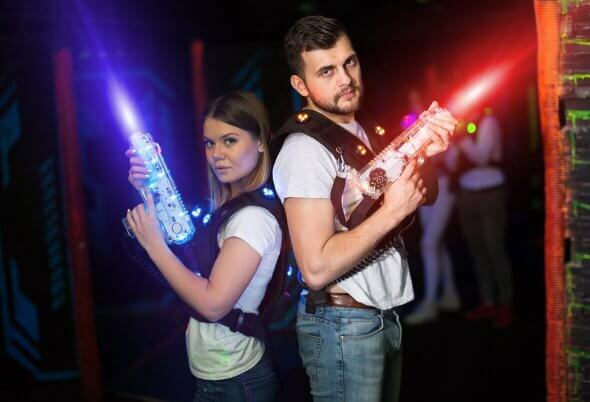 All birthday packages include laser tag, soft drinks, pizza, video arcade cards and a private birthday area. Make your next event or birthday party a Lazer Runner party!